Collard Greens, you are an impressive vegetable. Your nutritional profile tops the charts, and your insanely large leaves can serve as a container for our favorite burrito ingredients. Seriously, Collard Greens, what is it that you cannot do? Well, come to think of it, Collard Greens can't *yet* self-fill or self-roll. 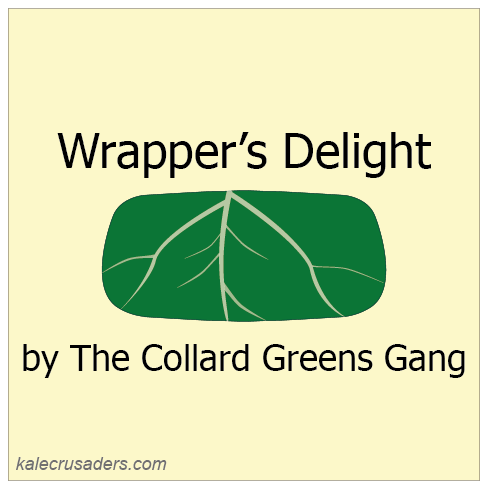 While we wait for that technological advancement, Candice Hutchings at The Edgy Vegan has you covered with her How to Wrap Collard Wraps Video. Cauliflower Rice is a fun alternative to the traditional rice that most of us are familiar with. McKell Hill at Nutrition Stripped has some great ideas for preparing and seasoning this tasty pseudo-rice! Cauliflower has been getting quite a bit of attention these days given its versatility as both an alternative to grains and a base for creamy sauces. That said, it is surprising that this is only our second post devoted to our dear friend, Cauliflower, but be on the lookout for some more Cauliflower coverage in the coming weeks! Yes, yes. We know potatoes are far from underrepresented. That's exactly what makes this recipe so great! It's difficult for people to turn down potatoes in any form. 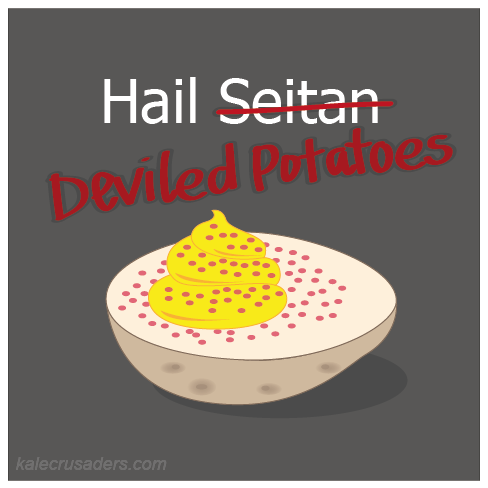 In our experience, deviled potatoes have a tendency to surprise and impress, and are gobbled down faster than veganized versions of other classic snacks. For some inspiration, check out Michelle Taylor Cehn's Deviled Potatoes recipe (and video!) at Vegan Break. Have you heard? 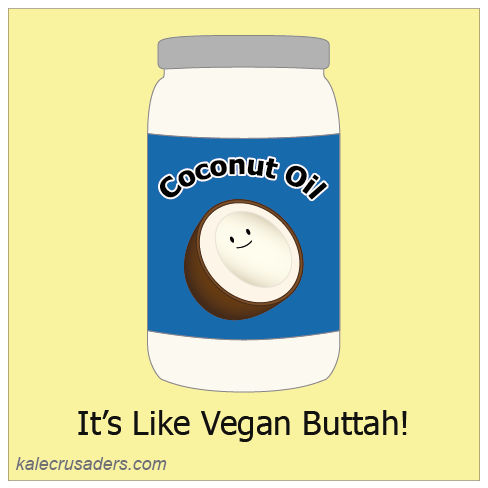 Coconut oil is the new vegan margarine, minus a lot of ingredients, of course. Solid at room temperature, coconut oil comes is both unrefined and refined varieties. If you dislike the flavor of coconut, the refined is your best bet. Besides sautéing and roasting, coconut oil is wonderful in baked goods, including these Best Chocolate Chip Cookies Ever by Kortney Campbell at Vegan Housewives. If you interested in making your own vegan butter with coconut oil, Mattie at Veganbaking.net has a tried and true method. If you are feeling even more ambitious, Robyn Eckhardt at Eating Asia has a step-by-step tutorial for DIY Coconut Oil.